Patrick Porter’s Military Orientalism provides an excellent analysis of the recent culturally-focused bent within western military thinking. “It is not a question of whether culture matters,” writes Porter, “but how it matters, and how to conceptualise [sic] it.” This is expressed through several case studies: British perceptions and accounts of the Russo-Japanese War, interwar military thinking and the “lessons” of Ghengis Khan (particularly as expressed by Basil Liddell Hart), the United States and the Taliban in Afghanistan, and finally Israel’s experience in the 2006 Lebanon War. Almost without exception, Porter does a fantastic job outlining relevancies, misperceptions, and the ‘trap’ that is overawareness of an enemy’s culture. While there are certainly traditions and beliefs that inform the actions of say, al Qaeda, they are equally willing to preserve their own lives at the cost of their perceived traditions. Porter also goes on to demonstrate how a group like al Qaeda might encourage such unchanging assumptions, as then any deviation from those expectations will easily surprise their opponents. However, it is the last of the case studies that might be a stretch. While Israel is certainly to be considered a part and an ally of the west, the circumstances and nature of their war in Lebanon is a bit tricky to use as an example of military orientalism. More than some sort of cultural bias, what the Lebanese experience shows is perhaps an overreliance on Israeli military history – a case of generals preparing to fight the previous war. Nevertheless, Porter’s book is an excellent counterpart to those professing to understand the “Arab mind” and other such monolithic nonsense, and recommended reading for anyone engaged in study on the middle east and eastern military history in general. 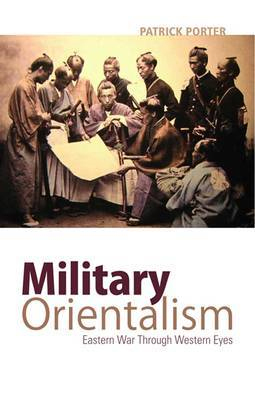 Buy Military Orientalism: Eastern War Through Western Eyes at Amazon.com.